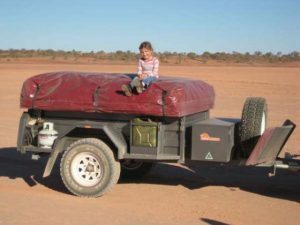 The Crossover Deluxe is our most popular on-road camper trailer, built tough for Australian conditions. It is exceptional value for money as it includes all deluxe features standard, for example; steel kitchen box with sink, tap & 2 burner stove, 80L water tank, steel tool box and quality Australian made 15oz heavy duty canvas. Our quality workmanship will allow you to enjoy hassle free camping for years to come. 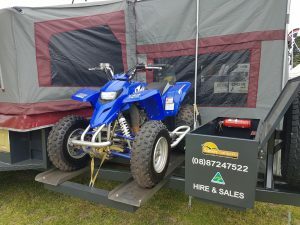 Just ask us if there is something you would like added or changed and we will work with you to achieve a camper trailer customised to suit your needs.